1. … he won the first of four straight terms in the Illinois State Legislature? The year was 1834 and Lincoln was 25 years old. 2. … he his brother and sister passed away? Abraham Lincoln had one brother and sister, Thomas and Sarah. Thomas died in infancy sometime between 1811 to as late as 1815 (real date unknown). Sarah was two years older than Abraham. She died during childbirth three weeks before her 21st birthday on January 21, 1828. Abe would have been somewhere between the ages of 2 and 6 when his brother died, and almost 19 when his sister died. 3. … he had his first love? Abraham Lincoln first love may have been Ann Mayes Rutledge but there is no concrete evidence to support this. It is assumed that they were at least good friends sometime between 1830 and 1835, when Ann died at the young age of 22 years old. Lincoln would have been between the ages of 21 and 26 years old during this period. 4. … he proposed to a woman named Mary Owens? 1837 was the year that Abraham Lincoln proposed to Mary Owens. To his surprise and disappointment she turned him down. Abraham was 28. 5. … he first met Mary Ann Todd, his future Mrs. Lincoln? It was in 1839 and Abe was 30. 6. … he and Mary got engaged? It was in the fall of 1840 which would make Lincoln 31 years old. 7. … he broke of his engagement with Mary Todd (a lot of you didn’t know that, did you)? It was in 1841 and Abraham Lincoln would have been 32 years old. 8. 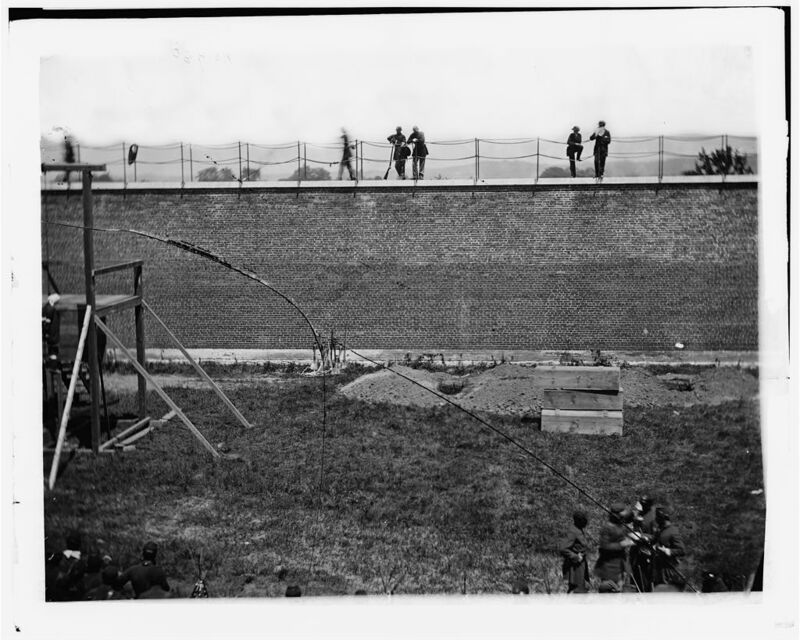 …he faced down James Shields in a duel. It was on Sept 22, 1842 and after calmer heads prevailed, the duel was called off. Mr. Lincoln was 33 years old. 9. … married Mary Todd. The date was Nov 4, 1842 and Abraham was 33 years old. Mary would be his wife for the next 22-1/2 years until his assassination in 1865. 10. …he was elected as President of the United States for his first term? Lincoln was elected to office on November 6, 1860 when he was 51 years old. 11. …he was elected as President of the United States for his second term? Lincoln was elected for a second term on November 6, 1864 when he was 55 years old. 12. …he was assassinated on April 14, 1865? Lincoln was 56 years old. Here are some October birthdays for Lincoln’s friends and foes. And perhaps a few contemporaries who lived during his time but whom he may not have been personally acquainted with. 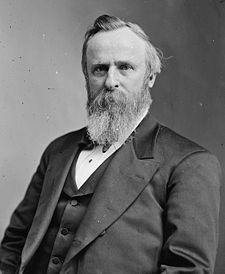 Rutherford B. Hayes – 19th President of the United States from 1877-1881. Born October 4, 1822. Age 190. 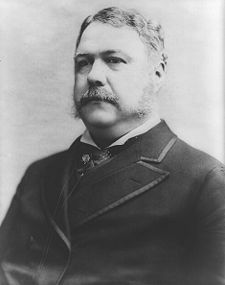 Chester A. Arthur – 21st President of the United States from 1881-1885. Born October 5, 1830. Age 182. 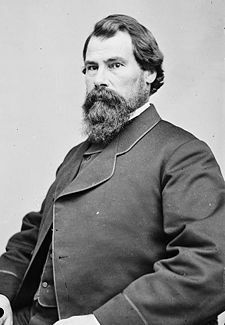 John Henniger Reagan – Attorney General, Confederacy. Born October 8, 1818. Age 194. 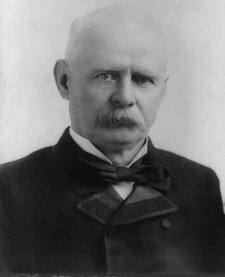 Adlai E. Stevenson – 23rd Vice President of the United States from 1893-1897. He served under President Grover Cleveland. Born October 23, 1835. Age 177. 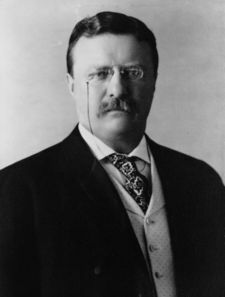 Theodore Roosevelt – 26th President of the United States from 1901-09. At the age of 6 years old, he watch the funeral parade of Abraham Lincoln from his parent’s apartment in New York City. Born October 27, 1858. Age 154. 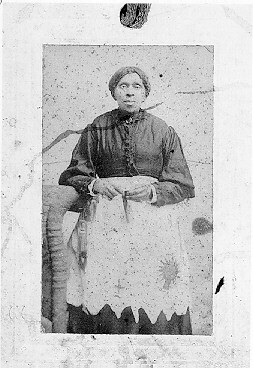 Harriet Powers – US Slave/Writer. Born October 29, 1837. Age 175. Happy birthday lady and gentlemen! As many of you know, I volunteer for an organization called the Power Within that puts on high-powered speaker events. Today, we hosted President Bill Clinton in London, Ontario, Canada. I have volunteered at two previous Clinton speeches (one on November 13, 2007 and the other on October 16, 2008) and so this time, I think the folks at the Power Within wanted to give me a ‘thank you’ surprise. So they assigned me to work with the photographer in the Pre-Show Photo Op session. This is a 20 minute period where about 100 pre-paid patrons come to get their pictures taken with the President. So there we were, set up and ready to go in a small 10′ x 10′ room, with the 100 people lined up just outside, waiting for their opportunity. Inside the room was me, the photographer, another volunteer colleague Louise, and 2 to 3 other sponsor reps. Except for Louis and me, everyone was in either a suit or dress. Louise and I were wearing bright blue STAFF tops. We kind of stood out in the sea of suits!!! After about a half-hour delay, the room began to quickly fill with secret service, additional sponsor reps and President Clinton’s advance team members. All in all, there were now probably about 15 people in this tiny little room. Finally President Clinton entered the room to my right. He looked around and then walked over to Louise and me and greeted us. After saying hi to Louise, he stepped in front of me, shook my hand and said “Hello. Nice to see you”. “Nice to see you too, Mr. President. Have a great day!” was my reply. WOW. That was totally unexpected. Other than the 100 people that were about to come in and get their pictures taken with him, we were the only two he greeted. So cool! Anyway, I got to then spend the next 20 minutes standing within 6 feet of the President watching him work with the various people who came to get their pictures taken with him. He is warm and inviting and of course, very personable. It was a great gift and I want to thank my friends at the Power Within for doing this for me. www.powerwithin.com. As a transplanted American citizen living in Canada, it was a very proud moment for me to meet the President of the United States. Up until seeing President Clinton give his speech last November, I had only seen one other President speak live, and that was LBJ. In 1965, when I was a cub scout, I saw LBJ give a live speech at Langley Air force Base in Hampton, Virginia. It left quite an impression on me. So years later, I’ve now actually met the President of the United States. And I did it by just being a volunteer and giving my time and energy to an organization that brings great speakers to the public. You never know where things will lead you to, but for me, look what happened! It was great. Here is a quick one for you. Abraham Lincoln was elected to the 30th Congress and served from 1847 to 1849. On Februrary 21, 1848, while participating in a vote in the House of Representatives at the US Capitol Building, former President John Quincy Adams (6th) suffered a deadly stroke from which he died two days later. Lincoln was present during the ex-President’s collapse.